Take on the persona of Mario's arch-rival! 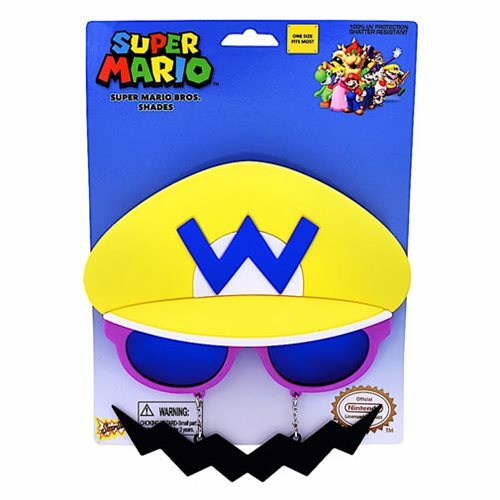 These Super Mario Bros. Yellow Wario Sun-Staches let you look just like the popular Nintendo anti-hero. These awesome Super Mario Bros. Shades feature 100% UV protection and shatter-resistant lenses. Ages 14 and up.